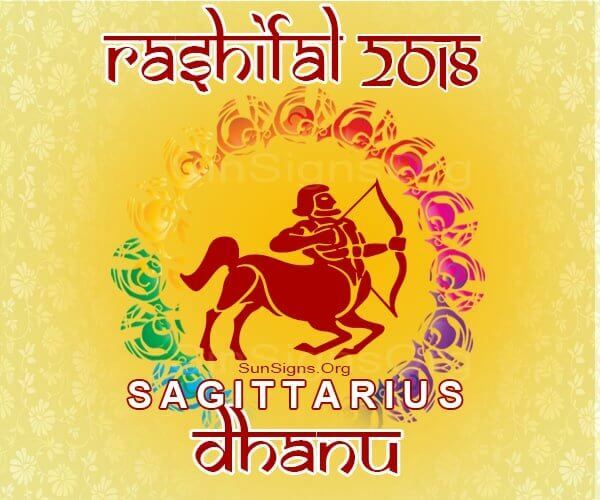 The positioning of the Jupiter, Saturn, and Mars with regards to Dhanu Rashifal 2018 predicts that they would have a year of success. There is a strong possibility that their love life, health, and finances would be in check during this year. Nonetheless, there are periods when the Dhanus Rashi natives would feel that they are disappointed. Undeniably, this is a normal phase to go through. The Dhanu Rasifal 2018 is simply there to make sure that you do not end up approaching the year on a sad note. The mentality that you take towards the coming year would have an impact on the success or failure of the year. Consequently, SunSigns.Org offers you a succinct analysis of what the coming year has in store for you. Regarding Dhanu Rashi people’s 2018 Varshik predictions on career, the year would begin on a high note for them. This is for reason that the Saturn and Jupiter planets are well positioned to offer the best career prospects for these individuals. On that note, a lot of activities would be expected to keep the Dhanu individuals busy throughout the year. The best part is that they would find focus on their career-related goals. Academically, those Dhanu natives still studying would enjoy the transition that 2018 would bring to them. They would be happy with the improvements they would be making in their academic ladders. In 2018, Dhanu Rasi natives would find it enjoyable to invest in new business ventures including real estate. This feeling would come from the good returns they would earn right from the start of the year. By mid-year, you would be financially stable to plan for vacations and spare some time to spend with friends and relatives. Additionally, luxury would be a priority for the Dhanus Rasi individuals. Consequently, if you have been planning to buy a car all along, 2018 could be the year to achieve that goal. The same applies to other investment prospects that you might have planned for. This season could make a huge difference in your life that you would live to remember. The love triangle would complete itself, predicts the Dhanu 2018 Rashiphal. The kind of love that would be coming your way would be different from what you have experienced before. In fact, there are instances where some of you would end up getting hitched. Your happiness would be the driving factor as you try to find true love amongst those that are close to you. Fortunately, the cards are in your favor. Therefore, make hay while the sun shines in 2018. This is also a good year to get pregnant. On a sad note, the health of Dhanu Rashi in 2018 might be a huge hindrance to their true happiness. Often, you will find yourself feeling low simply because you are nervous. What you need to do is to have a positive mind and expect the best to happen tomorrow. This guarantees that you refrain yourself from diseases that arise from your nervous nature. As doctors would recommend; staying healthy demands that you have a regular work out plan to stay fit. In as much as you love to travel, Dhanus Rashifal 2018 astrology predicts a minimal traveling season. At the beginning of the year you might travel from place to place, but as the year comes to an end, you would relax and enjoy spending time with your family. All things considered, Dhanu natives are expected to find happiness in 2018. The optimism they bring this year will make a huge difference in their love life and their financial projections. Accordingly, Dhanu Rashifal 2018 foretells this is a year worth anticipating for them.